This is a recipe that I have been fooling around with for a while. The butter chicken is a recipe that gets talked about all of the time in the Instant Pot Chat Room, everyone loves butter chicken. So, I decided to give it a whirl. I had a great butter chicken recipe for my slow cooker, but I wanted to tweak it just a bit. So, this is what I came up with. I served it with a side of rice (a great and easy staple that is naturally Gluten Free, so we have it a lot in our house), my recipe for the perfect rice is here. Remember to follow us on Facebook and on Pinterest for all of the latest recipes. 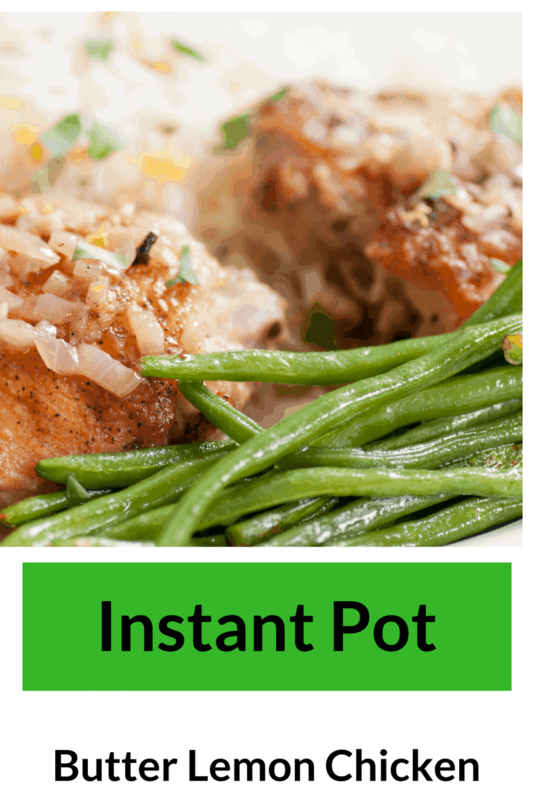 In your Instant Pot, turn the setting to saute. Then add your butter, onions and garlic. 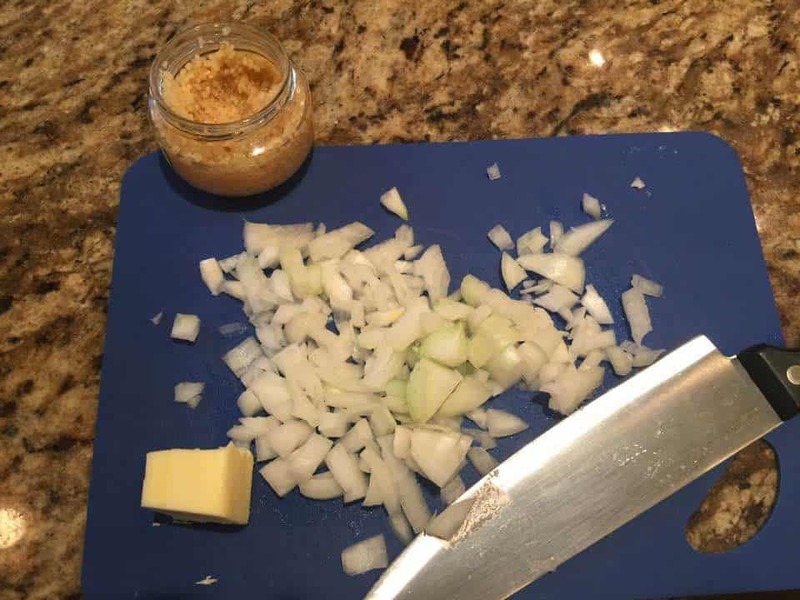 Saute until the onion softens. 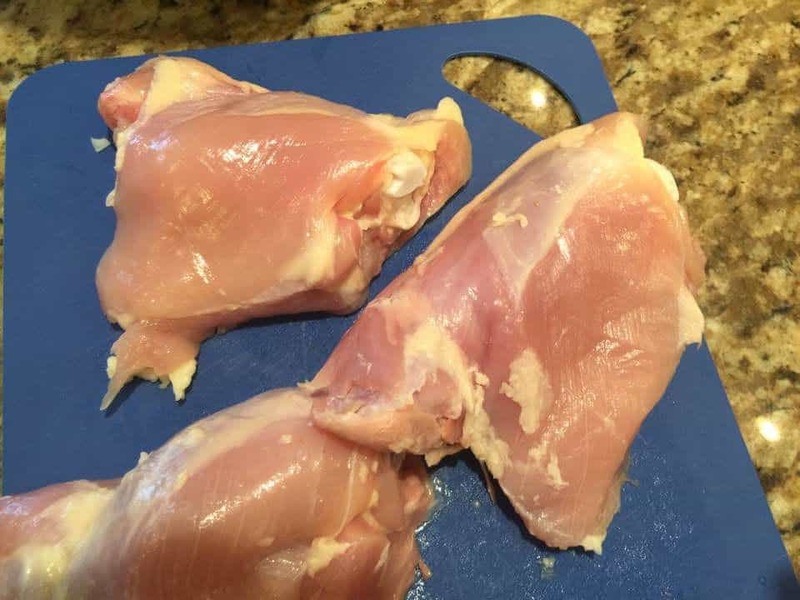 Meanwhile I took off the skin from my chicken (so it would be healthier). 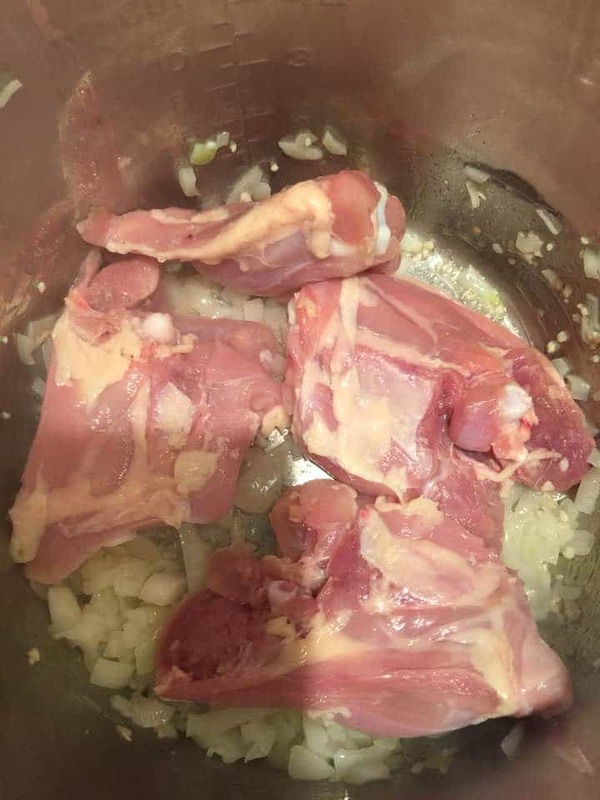 Once, the onion softens, add the chicken and brown each side for about 4 minutes each, Just remember to keep on moving the onions, garlic, so they don't burn. The chicken is done, when it looks brown on each side. Then pour the chicken broth, lemon juice and stir it all together. Place your lid on the IP and set it to the sealed position. Set the Poultry setting for 8 minutes. When the time is up, let it naturally release. If you want a thicker sauce, add the flour to 4 tablespoons of water in a small cup and mix it together, then pour it into the IP, which will help the sauce get thicken. I served mine with rice, but pasta is too. I poured the excess sauce over the rice and chicken. Which, gave it extra flavoring. Season it with salt and pepper, to your own taste.